Nature Holidays for the Home Educated! One week in the Loire Valley and enjoy its castles, nature and terroir. Night in our campsite - Out of order accomodations for 2, 4 or 6. Please have a look on site of each chateau ... to know the right prices. 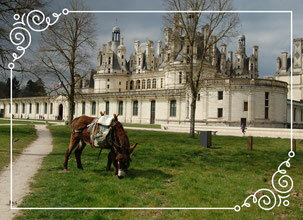 One week to discover the donkey hikes in the most beautiful place in France, the Loire Valley. 5th day - Discover the nature and have a break near a pond. Night in the Chateau of Troussay or La ferme des Saules or l'Ecole Buissonnière. 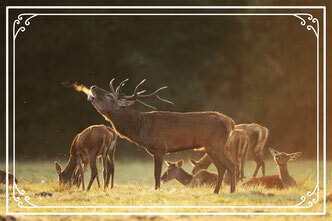 For an evening or a weekend, Les ânes de Madame offers you an unusual way of discovering the stags roar. 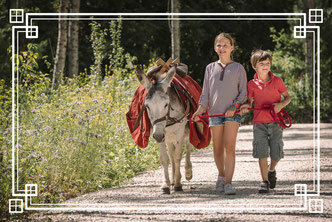 If you observe your donkey very closely, he'll help you to discover nature in a different way! You just need to "decode" you donkeys ears to notice a stag, a doe or a fox! A fun way for children to get involved in the discovery of the stags roar! A new way to read nature thanks to your donkeys ears and the explanations provided by the forest ranger. 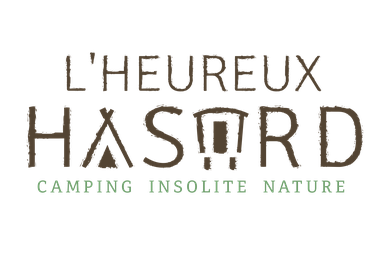 Associate Esprit Glamping and Nature et Emotion evening close to the forest in Cheverny during the stags rutting season.